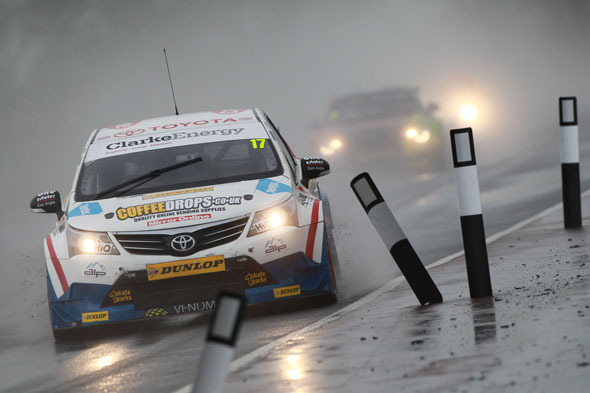 Speedworks Motorsport driver Dave Newsham was Toyota’s leading Independent finisher in the Croft rounds of the Dunlop MSA British Touring Car Championship today, the 45-year-old Inverness man claiming his best result of the season so far. 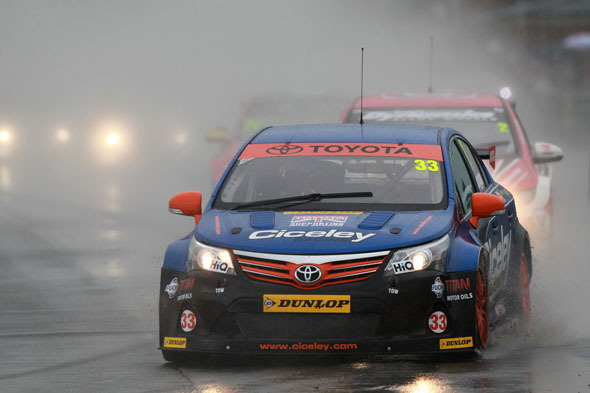 Toyota’s leading championship contender, Ciceley Racing’s Adam Morgan, was twice caught out at Clervaux corner by slippery conditions – he went off there at speed in the second free practice session on Saturday and clouted the barriers, badly damaging his Avensis. But the Ciceley mechanics worked wonders to return him to the track in time for qualifying, and he rewarded them with 10th place on the grid. Adam went on to finish 11th and eighth in races one and two, but aquaplaned off the circuit in sodden race three to post his first retirement of the season. Nonetheless, Morgan retains seventh overall in the drivers championship and is third among the Independents Trophy runners. He fared rather better than Speedworks man Ollie Jackson, whose ‘stock’ TOCA engine failed early in race one. The team toiled to replace it in time for race three, but Ollie fell victim to the weather on the opening lap, aquaplaning into another car and out of the race. 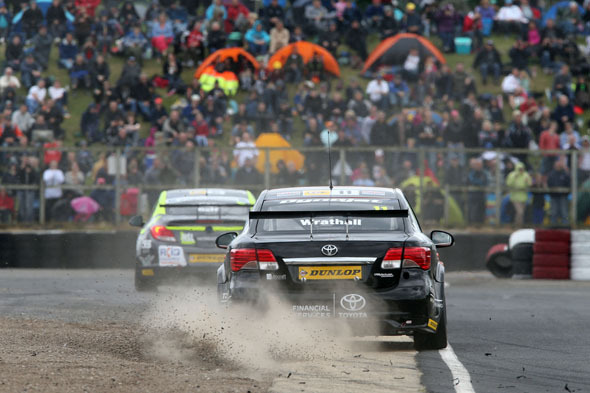 There’s now a six-week break before the second half of the BTCC season gets underway at the Snetterton circuit in Norfolk in early August.